A little surprise I found while going through some boxes. 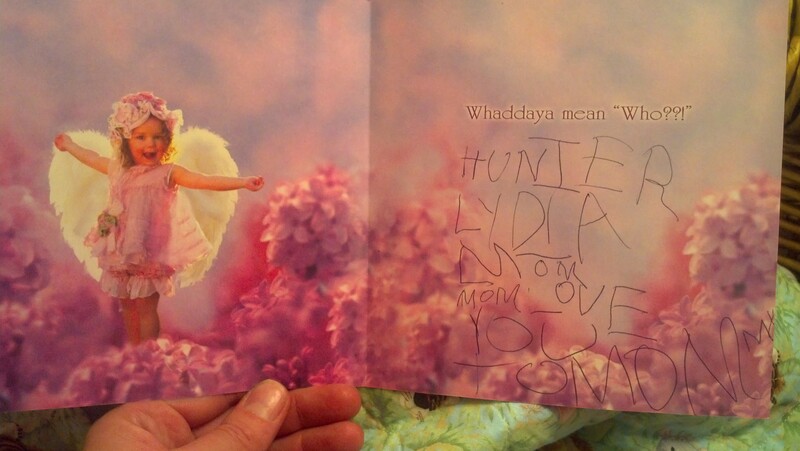 This was the last Mother’s Day card Lydia gave me. Mother’s Day 2008….a priceless treasure. I never would have guessed that two months later, she really would be my “angel.” Her hand written words speak volumes to my heart. 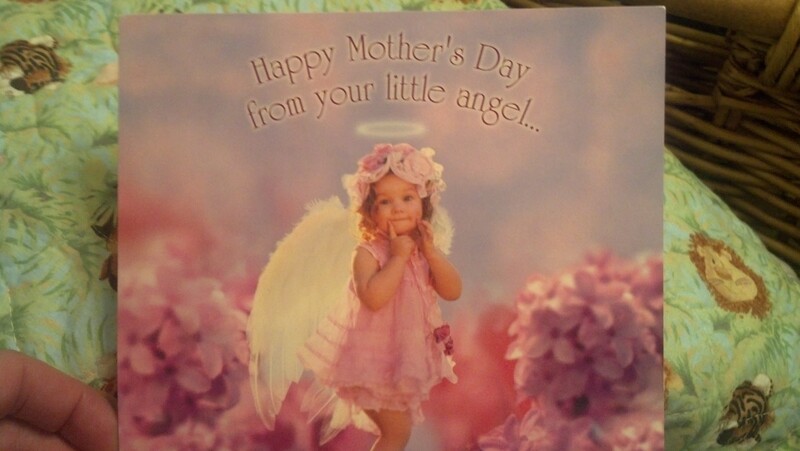 God bless all you mothers….old and new, those with arms cradling children and those whose arms lay empty. Every child, regardless of the length of time they were here are miracles and a reason to get up in the morning. We should all be forever grateful to have experienced such deep unconditional love. Thinking of you all on this Mother’s Day knowing how difficult it can be to be without your loved one. Oh thank you. Hope you had a wonderful day as well! Blessings to you all this Mother’s Day. Thanks Gale! Hope you had a fabulous day too! I love seeing that card honey.